We’ve been working on our wedding favour designs for a little while here at Vintage Dorset – after being asked to provide some bespoke favours that were vintage inspired we wanted ones that reflect the elegance of a vintage tea party whilst also sharing good quality traditional tea. We’re always happy to produce bespoke items and had designed a number of tea favours for weddings but our latest design is so lovely we thought we’d start offering these for sale directly to couples looking for hand-made wedding favours with a vintage feel? 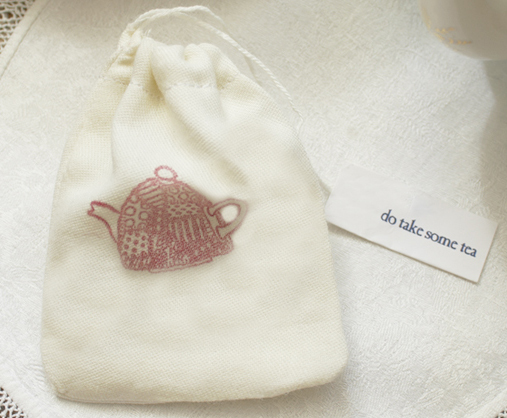 The favours comprise a little linen drawstring bag with a cute teapot design stamped on the front – this one is in red but you can choose the colour you prefer. 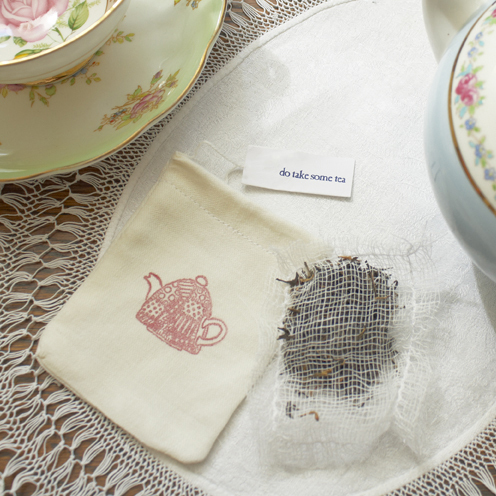 Inside is a hand-made muslin tea bag of loose leaf tea which is just sufficient for a small pot for two. We realised that people sometimes forget to take their wedding favors home – so the label says “do take some tea” which seems perfect! Here are some pictures together with the inside view of the muslin bags of tea These are food-grade muslin so perfect for popping in the teapot as well as showing off the lovely long strands of tea! 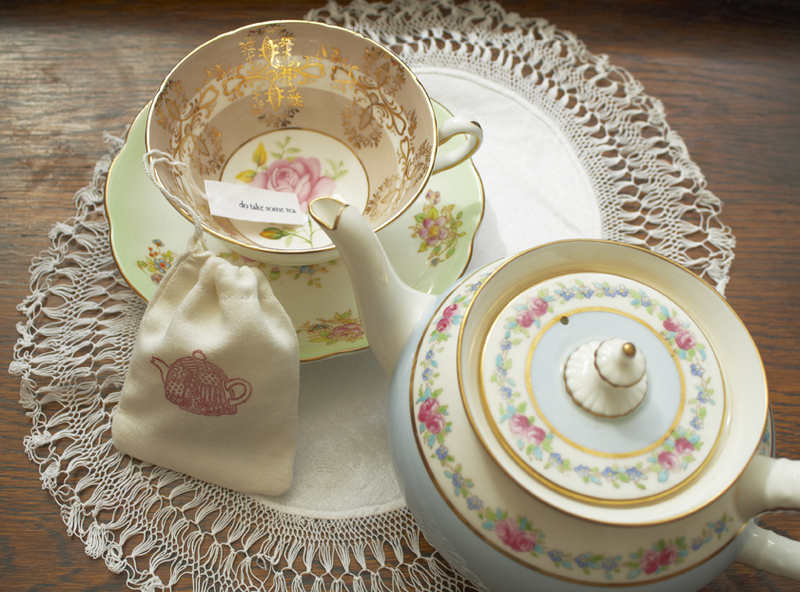 The teapot and teacup are from our Vintage Dorset china hire collection.